This week, North Korean leader Kim Jong Un and South Korean President Moon Jae-in agreed to take a series of steps designed to accelerate denuclearization and achieve reconciliation and peace on the peninsula. These steps include a pledge by Kim to shutter one of North Korea’s largest missile testing launch sites and a historic commitment to allow international inspectors to observe and verify the site closure. A Florida State University expert on North and South Korean relations is available to comment on the ongoing talks on the peninsula, the significance of these latest developments and the role of the United States in the diplomatic process. Culver specializes in Japan and Northeast Asia-related topics. She has received the William F. Sibley Memorial Translation Prize for her work translating Japanese texts into English, and she has been awarded grants and fellowships from the Japan Foundation, the Association for Asian Studies, the Institute for Advanced Study, the D. Kim Foundation, the Kajima Foundation and the United States International Educational Exchange program. 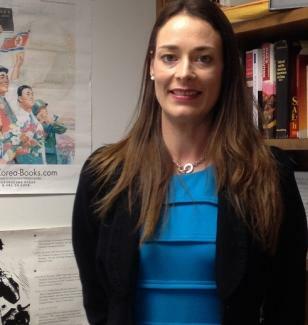 Culver has taught courses on the history of North Korea, its unique role in centuries of geopolitical struggle and its enduring wariness of foreign powers. “The recent agreement between the two Koreas is much more extensive than the one during the Singapore summit between Kim Jong Un and U.S. President Donald Trump. However, there is much in there that is purely ‘cosmetic’ and evokes earlier agreements made in the past. The opening of train routes, tourist sites and the Kaesong zone to South Koreans make for good publicity but present little new progress. President Moon also made no comments about human rights. “One significant step is that Kim plans to visit Seoul, which has not happened for over a decade by a North Korean leader.